After our L-O-N-G and interesting walk last Friday we decided to treat ourselves. 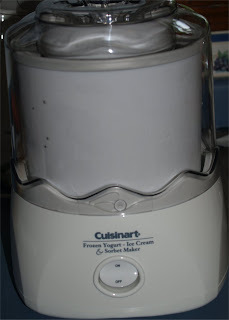 I have been looking into an ice cream maker for some time, and I thought it was a great day to treat ourselves. The hard decision was what flavor to make first. Finally, I made the ultimate decision and it was going to be vanilla. Dh made the first batch, he could not wait to get started. I just sat back, well stood really, and snapped the pictures. You can say that it was a big hit with the kiddos. Today, we are whipping up some chocolate ice cream. Can’t have one left out now can we? 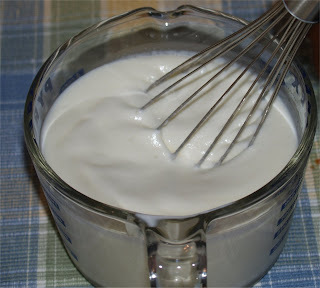 Mixing the whipping cream, milk sugar, and vanilla together. 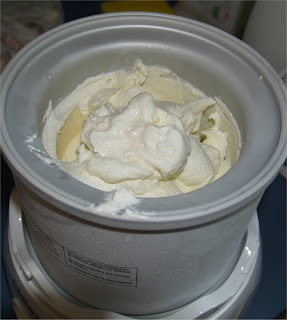 After twenty five minutes, we have yummy vanilla ice cream. 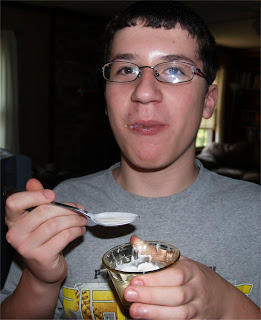 Looks like Nate is enjoying his first spoonful. 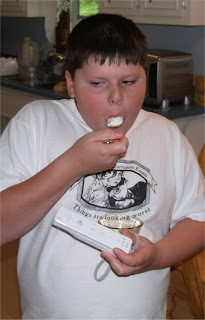 Enjoying his ice cream and still holding the Wii remote. lol..